Leading Manufacturer of chowmein machine, chowmein making machine, chowmein mixture machine, automatic noodle making machine, automatic chowmein making machine and semi automatic noodle machine from Kolkata. We are the prominent manufacturer and supplier of a Chowmein Making Machine making machine that is manufactured using the premium quality metals and alloys, obtained from the prudent vendors. Known for its longer functional life and fine finish, the range of the chowmein making machines offered by us is immensely appreciated among our patrons. 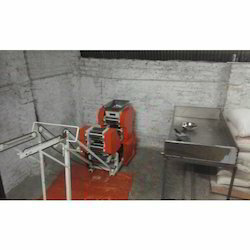 This offered machine is further acclaimed for its anti-corrosive properties. 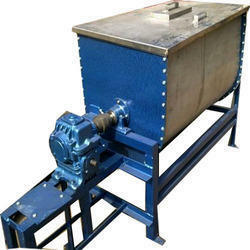 We have a complete devout in manufacturing and supplying high performing Chowmein Mixture Machine. 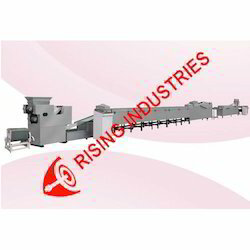 Featuring a two stage mixing procedures, this machine is widely demanded for its multi-roller compound pressing and automatic powdering mechanism. Our prestigious clients can avail this machine from us in varied operational capacities at the best price in market. 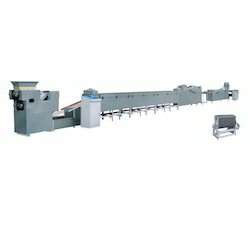 Automatic Noodle Making Machine is used for making various varieties of noodles such as wheat, rice and others. It has inbuilt features to make noodles in different shapes, by changing the molds of machine. 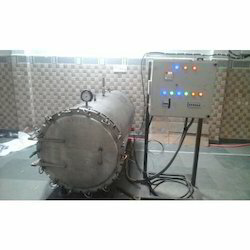 We manufacture this machine with galvanized iron and stainless steel, giving it the features of corrosion resistance and trouble free operation. The fully Automatic Noodle Making Machine has unique design which is based on the construction factor of the fresh noodles. We are instrumental in manufacturing and supplying supreme quality Chowmein Machine. Our offered machinery is widely demanded by the food industry for its superior performance to prepare chowmein at bulk quantity. Further, we have developed it with speed reduction gear box to make the operation more user-friendly. Our offered Chowmein Making Machine is well favored for its optimum production and user friendly operations. We have used premium grade SS steel and mild steel to construct the machine, which is equipped with high performing motor. Further, we have adapted various prevailing technologies of vacuum floor mixing and multi roller pressing to ensure superior quality output. In tune with current market demand, we are engaged in manufacturing and supplying high performing Automatic Chowmein Making Machine. This machine operates on a five stage processes starting from floor mixing, dough making and compound pressing to freshly prepared chowmein. Further, our offered machinery is available at varied horsepower and output capacity specifications at the best market price. We are one of the leading manufacturers and suppliers of supreme quality Automatic Chowmein Machine. This machine reflects our engineering excellence, as it is widely demanded by leading organizations due to its optimal mixing effect and easy to operate mechanism. 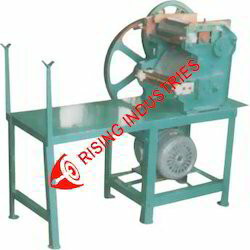 Crafted out of mild steel and stainless steel alloy, this machine is available in various horsepower specifications. Introducing a comprehensive range ofAutomatic Chowmein Making Machine which is widely used to make rice, wheat and other kinds of noodles. It can make different shape noodle by changing the molds. Built from stainless steel and galvanized iron which ensures a trouble free services. Automatic Chowmein Making Machine is designed according to the construction feature of fresh noodle. Vacuum flour mix improves the quality of dough. Curing system is designed as the "first in, first out" principle. Rollers with ripple improves the gluten net structure which makes the noodles more delicious. It is suitable for fresh and fine dried noodles manufacturers. Noodle Steamer Machine from our side has emerged as an ace product in the market. these commercial products have aesthetic appearance and very simple operation. We are a known name in the market owing to the success of Instant Noodle Making Machine. This one from our side comes with perfect technology, compact structure, original design and stable performance. It has got high automation, convenient operation and low energy consumption. All working procedures from feeding to finished products can be accomplished automatically. This one is made available to the clients at extremely affordable rates. 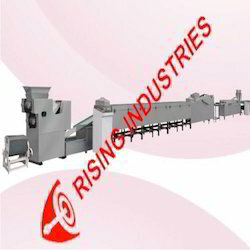 Our company has made a renowned name in the market owing to the success of Maggi Making Machine. This one from our side is best suited for mass production. Used for making Maggi, our range is not only easy to install but also engineered with perfection and attention to extract uniform size of output. Further, our range is widely renowned for its sturdy construction and operational fluency. We stand strongly behind every product supplied and distributed by us. 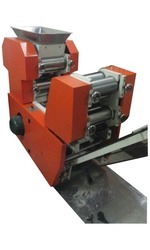 Noodles Making Machine from our side is made available in the market and has emerged out as an ace product. This machine from our side is easy to operate. The whole process mixing the flour to making noodles is full automatic and brings out the noodles in just no time at all. This machine is multifunctional and allows mixing the flour, kneading dough, and making different noodles, making pasta noodles, producing dumpling wrapper and wonton wrapper etc. 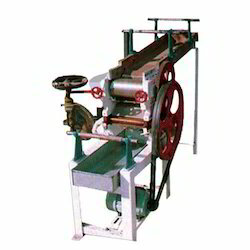 We have on offer a large line-up of Masala Noodle Making Machine that come largely suited for mass production. The noodle processing process comes inclusive of highly sophisticated mixing of raw materials, dough sheeting, compounding, sheeting, rolling and slitting. Our series of processes stays consistent. These machines are low on maintenance and are delivered to our customers as per the delivery schedule.